Ms. Acken focuses her practice in labor and employment law. She has defended numerous companies in gender, race and disability discrimination cases in state and federal court. 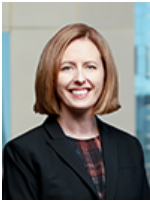 Ms. Acken also has wide-ranging experience representing both public and private entities in EEOC claims, wage payment/overtime, wrongful termination, Davis-Bacon, and state and federal leave issues.